Bringing together the latest computer games technology and changing approaches to learning and training, the Serious Games Institute will be opening in September 2007. 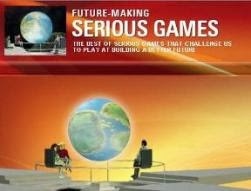 The Serious Games Institute (SGI) is based in the Technology Park close to the Futures Institute. Partially funded by Advantage West Midlands (AWM), this £3 million project includes facilities to support the development of Serious Games research and a cluster of companies based in the West Midlands. 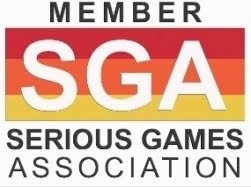 The Serious Games Institute will launch with a smart building demonstration and tour led by David Wortley, SGI Director, on 13th September 2007, during the Serious Virtual Worlds Conference, the First European Conference on the Professional Applications of Virtual Worlds. On the same day, and at the same event, Coventry University's Second Life Island will be launched. The theme for this first Serious Virtual Worlds conference is ‘The Reality of the Virtual World' and takes a close look at how virtual worlds are now being used for serious professional purposes. Day 1 - Introducing Virtual Worlds: presentations and conversations introducing virtual worlds and the 3D web from Cisco, Linden Labs, Trusim, Forterra, Giunti, Pixel Learning, Caspian, Ambient and Daden, closing with the launch of the Serious Games Institute’s ‘Second Life’ Island with a Cocktail Reception followed by the Conference Dinner. Day 2 - Serious Virtual Worlds: Action & Potential: live virtual world presentations and conversations from Digital Earth, Reuters, Stamford Med School, Trusim, PA Consulting, IBM, Forterra, NPL, Logicom, and AVM.